Holiday Gift Guide Giveaway Winner Annoucements: Pigeon & Pals, Chicken Little, Robot Zot & STOMPEEZ! Is it as hard for you to accept that tomorrow is December 1st as it is for me? I honestly can't believe that we are down to the last month of the year, that Christmas is only 25 days away and that the New Year is staring us in the face! 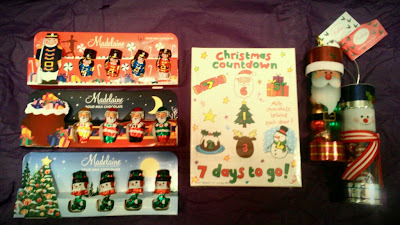 As much as I love the holidays, I just don't know that I'm really ready! Are you one of the lucky giveaway winners being announced tonight? I love walking into a room that smells wonderful, fresh and clean! Nothing is quite as soothing as a house that smells good! My Candle Warmers give off the perfect amount of scent and it fills the entire room. We have a large bedroom so I know that the warmer works very well. Perfect for any size room, large or small. The scent even reaches down the hallway in our bedroom and into the living room. 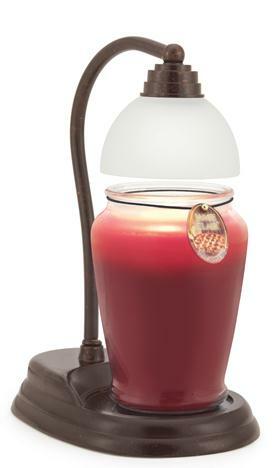 Candler Warmers are available in a variety of stylish and decorative lamps, crocks, and plug-ins! 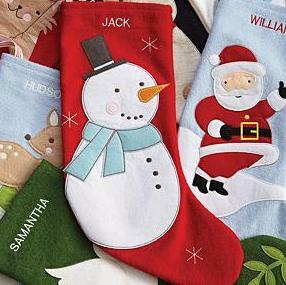 They even carry a variety of holiday warmers as well, like an adorable snowman, Santa, and jack-o-lantern! 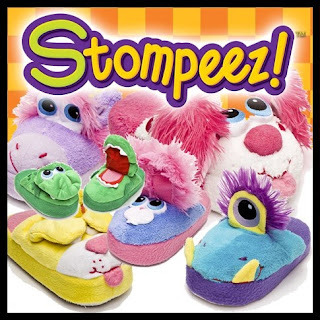 Holiday Gift Guide Giveaway Ending Tonight: STOMPEEZ! I know that Christmas is sneaking up on us, but don't wait until the last minute to get those hot holiday gift items on your list - enter to WIN them just in time for Christmas! Tonight is your last chance to make one kid on your shopping list very happy on Christmas morning by winning a pair of Stompeez slippers! Is there someone on your list that would love a pair of Stompeez? 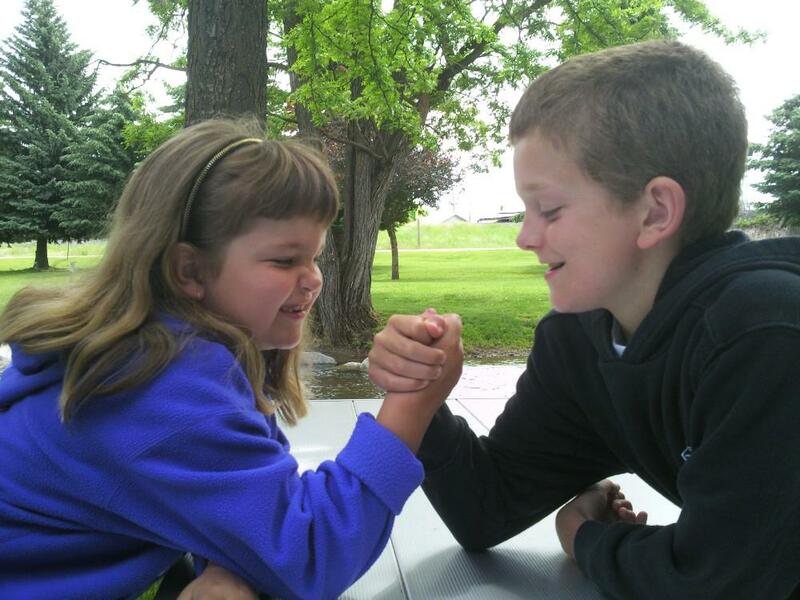 Today I am thankful that my kids have each other! I'm so happy that they love each other, have fun together and are always there for each other! 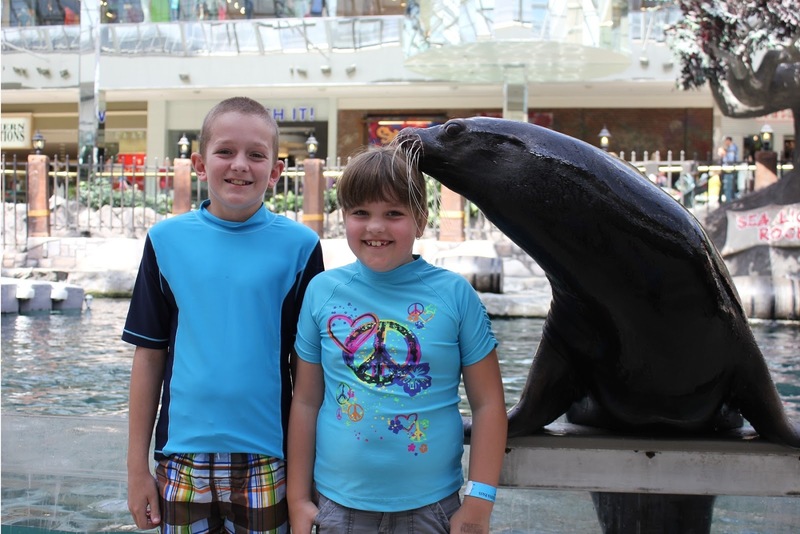 I have a younger sister and a younger brother, and know just how special and important siblings are! Do you have brothers or sister? With so much to do during the day, do you often find yourself stressing over what to make for dinner? 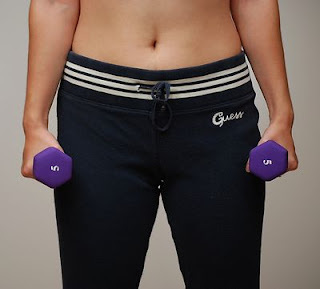 Tired of eating the same meals over and over? Well, you can kiss your stress good-bye, and let Campbell's help you create a quick and delicious meal that your entire family will love! "Smoky chipotle peppers combined with black beans, sweet roasted corn, and Monterey Jack cheese, creating a robust, medium-heat sauce that delivers southwest excitement in each bite." As I opened the pouch, the aroma filled the air and all I could hope for was that it tasted as good as it smelled. As our steaks started simmering, the kids came running into the kitchen and asked me "what smelled so good" and "were we having it for dinner?" Today I am thankful for toothless grins! There is just something about them that puts a big smile on my face! Honestly, how can you look at this grin and not smile?! Christmas is only a few short weeks away, so now is the perfect time for you to WIN some of your holiday gifts by entering a variety of different giveaways in my Holiday Gift Guide event! 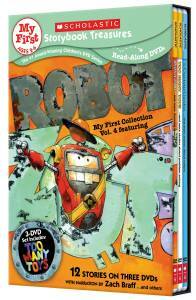 Today is your last chance to enter to win a great Robot Zot DVD Set and the FRIENDS Prize Pack! 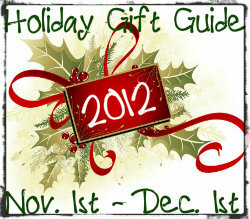 Be sure to check out the other Holiday Gift Guide giveaways before you leave! My daughter makes sure to bring anything she wants on tv to my attention, each and every single time the commercial comes on! 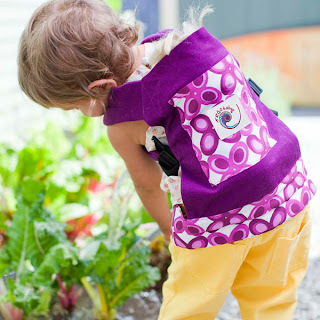 If you have a child at home, then chances are you have heard of CuddleUppets! Soft, warm and huggable... a CuddleUppet makes the perfect companion for your child or grandchild. 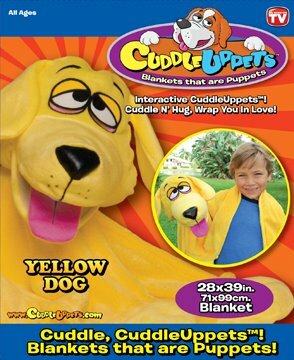 They are the perfect combination of practical (blanket) and fun (puppet)! 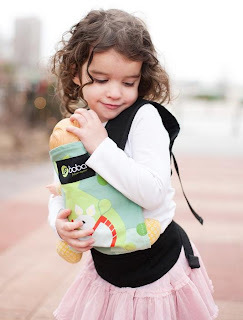 Perfect to cuddle and play with at home or in the car, and perfect for travel and sleepovers! You can choose from 6 soft and cuddly friends; yellow dog, pink poodle, purple monkey, green crocodile, lady bug and a unicorn. 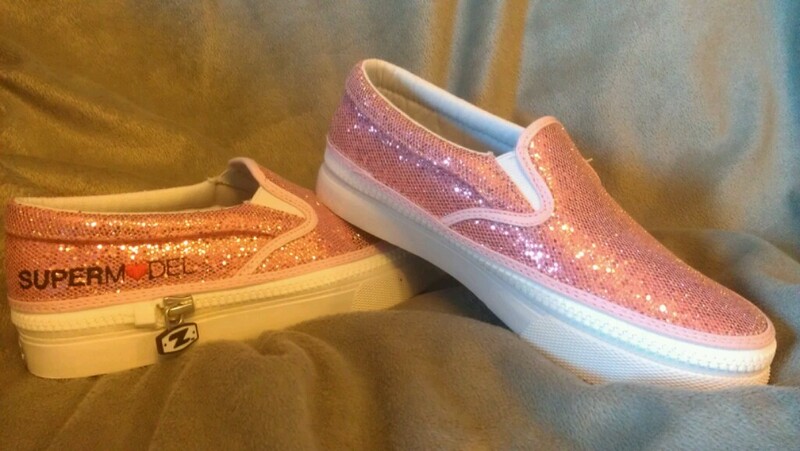 Making them perfect for boys and girls. Today I am thankful that Christmas is right around the corner. I know, I know... it doesn't seem like it should be that time of the year already. But I just love the look on my children's faces when they open their gifts on Christmas morning! Do you remember... "The sky is falling... the sky is falling!" Chicken Little has been a childhood favorite for as long as I can remember. 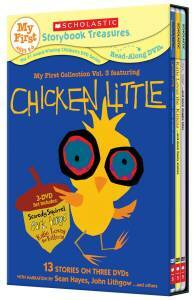 Be sure to stop by and enter for your chance to win the delightful Chicken Little DVD set just in time for holiday gift giving! Ahoy, matey! ICE AGE: CONTINENTAL DRIFT sets sail on Blu-ray and DVD from Twentieth Century Fox Home Entertainment on December 11, just in time for the holidays. 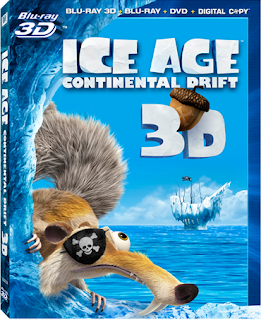 Kids everywhere will be asking mom and dad for a copy of Ice Age: Continental Drift this holiday season, but what else is going to be a hot item? Lets take a look at what kids will be looking for on Christmas morning. Party Animals are a new soft, plush speaker system. All you have to do is plug in your MP3 player or laptop, and the Party Animal will play your music and dance along to it! These dancing stuffed animals might be a hit with adults too this holiday season! This creative pocket-sized game is perfect for encouraging your kids to have fun while expressing their artistic side and gaining problem-solving skills. The game allows you to generate a creative story based on the nine dice which each have unique images on them. This creative gift will never leave the kids bored – each roll of the dice results in over 10 million combinations that can be used to create a story! Furbies were all the rage in the 1990s, and they’re making a big comeback this year! The new, updated Furby features more expressive LCD eyes, a wider range of motion, a new iOS app, and the ability to react to user behavior. These cool, responsive toys are a must-have this holiday season. It's a known fact that the majority of people gain weight during the holidays, an average of 7 - 10 pounds between Thanksgiving and Christmas! So, I find it ironic that this holiday season I'm trying to lose almost 10 pounds in order to reach my weight loss goal with Nutrisystem! With just 8 more pounds to lose until reaching my weight loss goal... it seems so close, yet so far away! Today I am thankful that my children have a love of school. They both love going to school, love their teachers, and look forward to going to school each day! 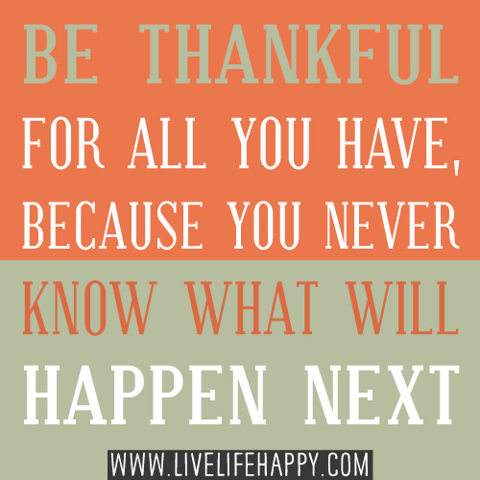 I'm so thankful that it's not a struggle each day, and that they are growing and learning each day! I'm so thankful that my children go to a wonderful school with fantastic teachers and a wonderful principal! Do your kids enjoy school? Whether you're looking for the perfect ugly Christmas sweater for your holiday party, or maybe a casual alternative for a costume party... you're going to love the selection at Faux Real Apparel. Faux Real Apparel has a fun selection of novelty shirts for men and women; long sleeve, short sleeve and night shirts! Faux Real T’s are the perfect combination of quirky, funny, and scandalous pictures for consumers who want to stand out from the everyday fashion crowd. With styles such as the tattoo model, #1 super fan, nerd, ugly Christmas sweater, camping outfit, and many more. I chose the mini giraffe in purse Faux Real novelty t-shirt, and I absolutely love it! It's fun, cute and totally unique! 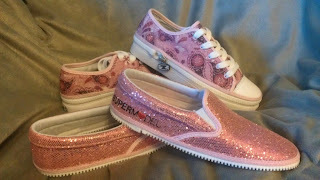 It is also soft, comfortable and stylish! I've gotten so many compliments, and it gets noticed each time I wear it! These shirts would make the perfect gift for that person who already has everything! 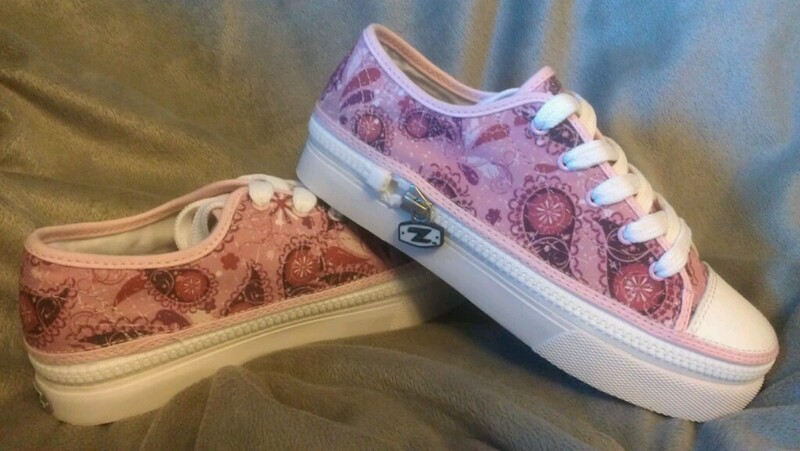 They are also a fun addition to any wardrobe. 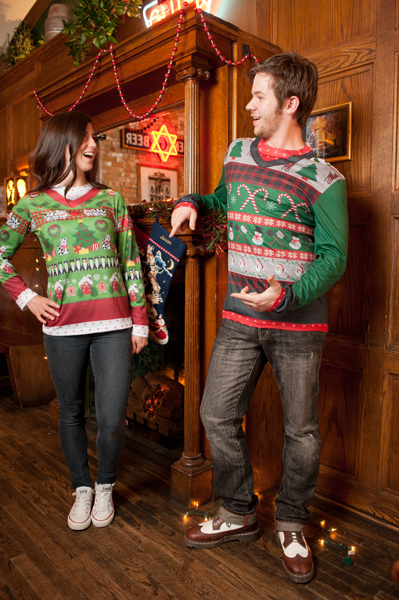 There are also a couple "naughty & nice" Faux Real T's that are sure to add a little spice into any relationship, or to be the hit of the party! Looking to add some new DVD's to your child's collection this holiday season? As part of my Holiday Gift Guide, there are several children's DVD giveaways to wrap and put under the tree! 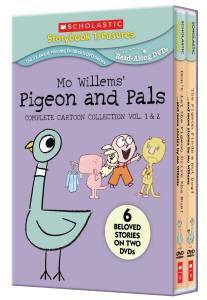 Today is your chance to win the Mo Willem's Pigeon & Pals DVD set! Today I am thankful for silly kids! There is not a single day that passes where my children don't make me laugh and smile. Just looking at them makes me smile, because I am so lucky to be their mom! Did you know that the Magic School Bus is celebrating 25 years? 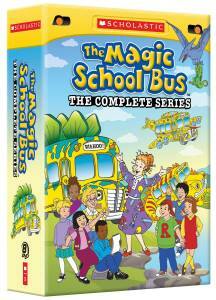 Give the gift of adventure with this Magic School Bus DVD set giveaway! Did you watch the Magic School bus growing up? Today I'm thankful for those special moments that melt my heart... and the ability to capture them! 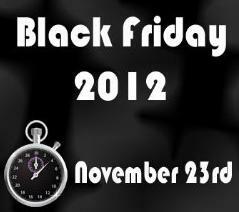 Today I am thankful for the fact that I don't have to brave the crazy Black Friday shopping crowds. My holiday shopping is 100% complete, so I don't have to worry about getting a Black Friday door-buster deal! Why not spice things up this holiday season and give the gift of BBQ! 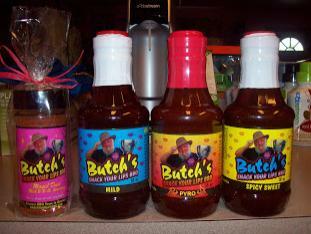 Be sure to enter to win the delicious Butch's BBQ Sauce & Seasoning Rub giveaway before it's too late! It's the perfect gift for the grill master on your holiday shopping list! What is your favorite meal to BBQ or grill? 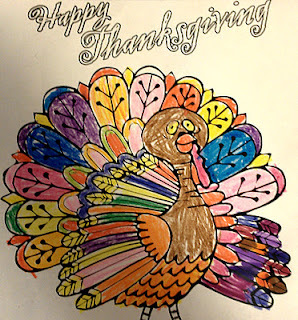 30 Days of Thanks: Day 22 - Thanksgiving Traditions! Today I am thankful for Thanksgiving traditions! Thanksgiving dinner, spending the day with family, lounging around all day in yoga pants, cutting down the Christmas tree and watching the Macy's Day parade on tv. 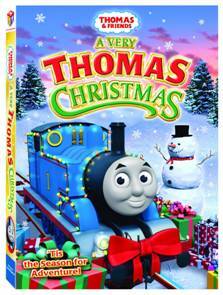 Thomas & Friends is a favorite among little boys and girls, so why not give the gift of a DVD this holiday season. Whether for a gift or a stocking stuffer, the Thomas & Friends: A Very Thomas Christmas DVD giveaway is sure to be a hit this Christmas! Just in time for the holidays, get a FREE 8x10 photo print from Walgreens! 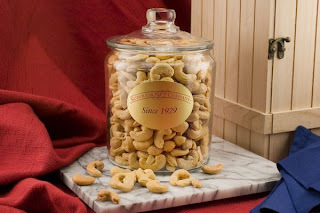 Simply enter coupon code FREE2THANK at checkout thru Saturday November 24th! Choose in-store pick-up and pay absolutely nothing! Today I am thankful for early release days at school and long weekends! That gives me more time to spend with my kids, and I love it! Whether you're going for the classic look, a little more vintage, or for the characters... stockings are one of the most important items for the holidays! It doesn’t quite feel like the holidays until the Christmas stockings are hung by the chimney with care. I know that hanging the stockings is one of my children's favorite holiday traditions! RedEnvelope has a festive selection of monogrammed, vintage, classic, character and traditional Christmas stockings that are sure to add the perfect touch to your holiday traditions. As you may already be aware of, the Holiday Gift Guide is in full swing here at Being Frugal and Making it Work! 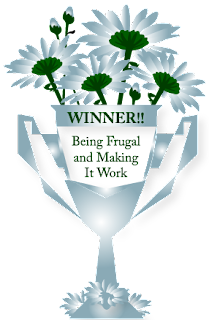 I'm trying to help make your holidays a little less stressful, by providing fun gift ideas for the entire family and giving you the opportunity to win them! 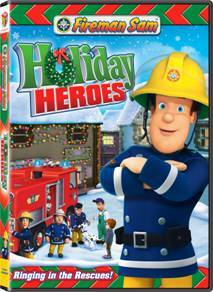 Be sure to enter the Fireman Sam: Holiday Heroes DVD giveaway that will be ending tonight, as well as checking out all of the other Holiday Gift Guide giveaways in the right sidebar! 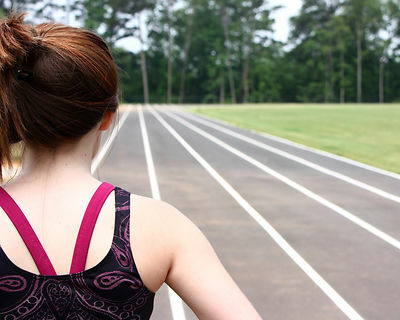 Are you looking for the perfect way to give someone a little support and inspiration? We all have what it takes to accomplish anything we set out to do, But we are often our own worst enemy. Instead of taking action, we over-analyze and over-think. Rather than "going for it", we judge ourselves too strongly, worry about too many things and let life pass us by. The best seller at The Universe Knows are their collection of brightly colored inspirational mugs. 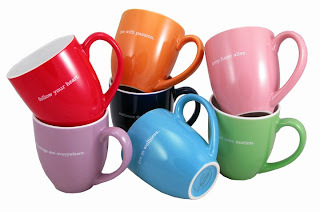 These bistro mugs make a unique gift for any holiday or occasion. These mugs are big enough to wrap your hands around, inspiring enough to make you have a brighter day! Why do I love these coffee mugs? Another thing that I love about these amazing coffee mugs is that they are easy to hold and durable! you can feel the quality when you hold them, and they are easy and comfortable to hold. Trust me when I tell you that when you get ahold of one of these mugs, it's going to become your favorite... you won't want to drink your morning coffee or tea from another mug ever again! Holiday Gift Guide Giveaway Ending Tonight: Madelaine Chocolate Company Christmas Chocolates! The Holiday Gift Guide is currently underway, and the first giveaway ends tonight! 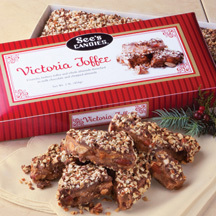 Be sure to enter to win a delicious Christmas Chocolate Assortment and check out the other great giveaways currently running as well. 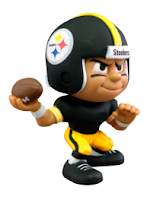 Also, be sure to check back often and enter all the upcoming holiday gift guide giveaways... there is something for everyone on your holiday shopping list! 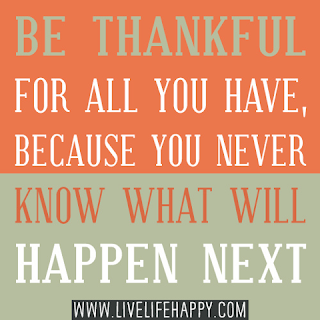 Today I am thankful for giggles... whenever I hear my children laughing, I can't help but laugh and smile too! 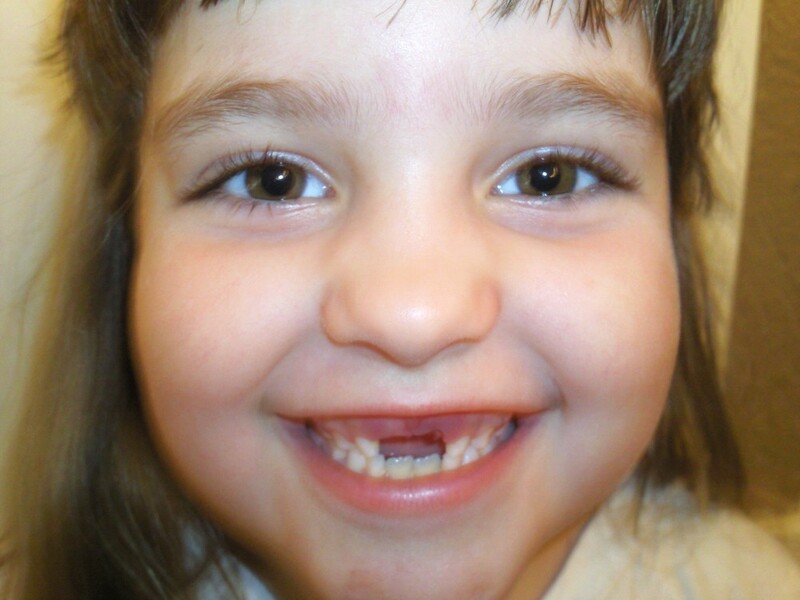 There is something about the laughs of a child that are heart-warming and contagious! 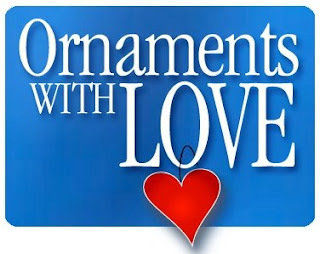 The holiday season is coming up quickly, and you are probably starting to mark items off your gift lists. As the mom of a sports fanatic, I wanted to share a gift idea with you that will make the sports-loving kids on your Christmas gift list very happy! SPORTS ILLUSTRATED Kids is the perfect magazine for boys and girls who love sports. My almost 12 year old son has been getting this magazine for 2 1/2 years and he loves it! He can't wait for his new issue to arrive each month, and get so excited when I tell him that it's arrived. It is something he looks forward to each month, as soon as I hand it to him - he's reading through it! 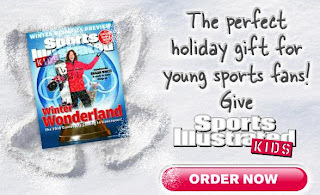 Sports Illustrated Kids presents sports the way kids want to read about them: with great action photos, easy-to-read stories about star athletes, helpful instructional tips from the pros, and humor, comics, and activities. SI Kids is a great way to encourage kids to read, and it has won highest honors from the Association of Educational Publishers and the Parents' Choice Award. Today I am thankful for the opportunity to provide my children with fun, unique experiences that they will cherish and remember forever. There are certain things that don't come along on a daily basis, so it's important to experience everything that may arise. Live every day to the fullest!